Is there anything better than relaxing on your beautiful patio, or gathering around a fire pit with family and friends ? 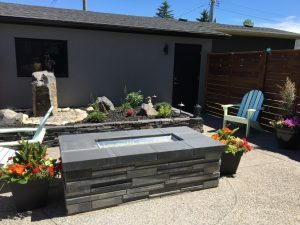 Chinook landscaping installs stylish, attractive and practical paving stone patios for their Calgary landscaping clients. There are many different styles of paving stones to choose from including euro stone, holland stone, and roman cobble stone. The patio design styles we can create are endless and we will work with you to design a patio that works perfectly for you and your family.